The Canon 6D is a high-end DSLR that’s aimed at professional photographers, but many casual and amateur photo takers are also using this camera because of its wealth of excellent features. It makes use of a 20.2 megapixel full-frame CMOS sensor, and it can shoot from ISO 100 to ISO 25,600. Its ISO range can even be expanded further from ISO 50 to ISO 102,800 to meet the requirements of even the most demanding photographer. With its many grand features and optimum shooting performance, this DSLR is excellent to bring with you on your travels or if you’re practicing portrait photography. It has an 11 point Auto-Focus (AF) system that helps you stay in focus, where you want to focus. With the right travel and portrait lenses at your disposal, your Canon 6D can exceed its performance when you’re shooting photos of landmarks or people. The Canon 6D even has integrated GPS so you can put a location mark on each photo you take with it. Therefore, you can recall which city or country you took the photo from just by taking a look at its EXIF data. If you’re already on the market for the best travel and portrait lenses for the Canon 6D, then look no further as we’ve listed them for you. 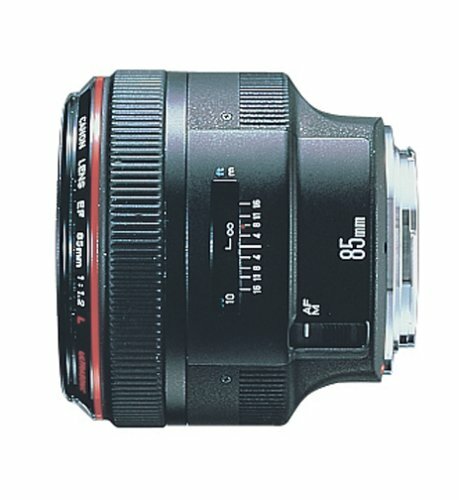 The Canon EF 85mm f/1.2L II USM is one of the most exemplary travel and portrait lenses on the market, especially for your Canon EOS 6D. It makes use of a ring-type Ultra Sonic Motor (USM), and it works with its high-speed CPU to bring incredibly fast auto-focusing speeds. Hence, get the photo you want, when you want it. Subjects will stay at the moment, which is required if you’re shooting fast-moving subjects. Additionally, this particular lens combines its high-speed auto-focusing system with its circular aperture to deliver reasonably shallow depths of field. Shooting main subjects while using its largest aperture helps you create the “Bokeh” effect you’ve been looking for that might not be easily achievable when using other travel and portrait lenses. 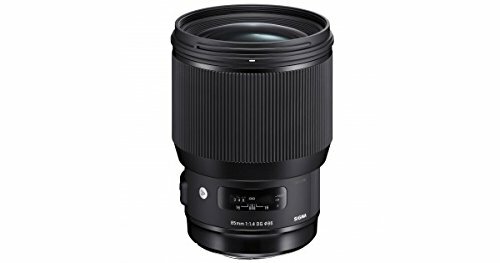 The Sigma 85mm f/1.4 DG HSM Art is advertised as one of the “ultimate” travel and portrait lenses you can get for your Canon 6D. While it might look like such a tall claim, it’s not something to laugh at. This particular lens can deliver excellent performance, especially when isolating your main subjects from the background. It can achieve very attractive blurry backgrounds with its maximum aperture of f/1.4. It also has a very accurate auto-focusing system, and it is even possible to focus on the pupils of your subjects. It makes use of a hypersonic motor (HSM) to bring more torque as compared to its predecessor, and auto-focusing is both precise and quiet. 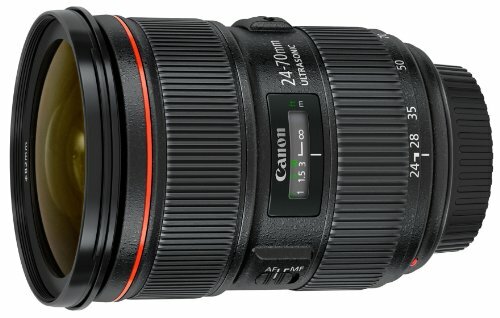 The Canon EF 24-70mm f/2.8L II USM helps meet the growing demands of the meticulous photographer. This lens is part of the brand’s product line of excellent travel and portrait lenses. It brings excellent performance, high-end durable construction, and superb optics to its long list of benefits. A definite advantage to using this lens is its reasonably large maximum aperture. With a large aperture reading of f/2.8, you can get decently blurry backgrounds while your subject remains as sharp as possible. Additionally, it makes use of a combination of 2 types of aspherical lenses to created superb balance of colors while delivering excellent contrast with each shot. 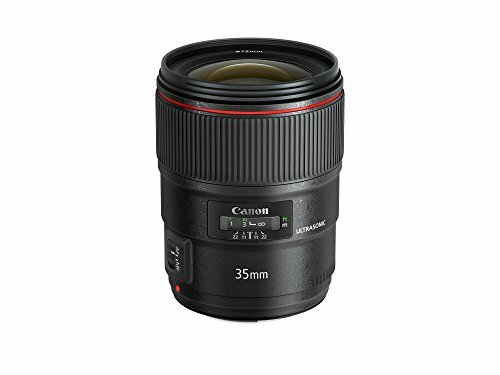 The Canon EF 35mm f/1.4L II USM has a red ring on it, and for many photographers or photography enthusiasts, it only means that you’re about to use a majestically performing lens. This one is an iconic model found within Canon’s line of excellent travel and portrait lenses as it will allow you to take a wide variety of photos in a broad range of shooting situations. It has a large aperture of f/1.4, which means you can take photos in very low light situations without compromising the camera to use higher ISOs. Also, it has a 35-millimeter focal length that allows you to take images with minimal distortions while still getting as much of the frame as possible within the shot. If you’re looking for travel and portrait lenses that will minimal to no amount of distortion in your shots, then consider the Canon EF 50mm f/1.4 USM. Because of its focal length, you can take pictures of whatever the eyes can see. In other words, there won’t be a fisheye or pinhole effect in your shots. Furthermore, its large aperture allows you to isolate your main subjects from the background effectively. Backgrounds become a nice creamy blue while your main subjects remain as sharp as possible whenever you’re using this lens to take portraits. If you’re using this particular piece of glass on your Canon 6D to take images of landmarks from your travels, then you can just lower the aperture to produce stunningly sharp photos across the frame. 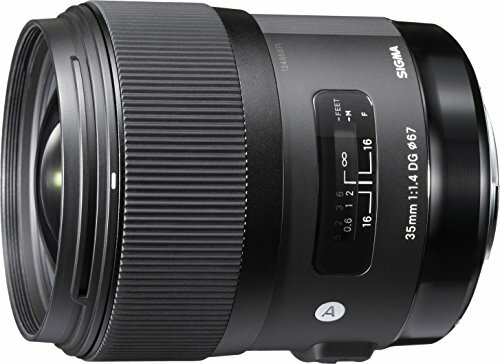 The Sigma 35mm f/1.4 DG HSM Art is hailed as one of the best travel and portrait lenses on the market for your Canon 6D because it can deliver images that are full of color with just the right amount of contrast. It has a large aperture so you can even take photos of low light shooting situations such as bars, dimly lit restaurants, or even concert halls. 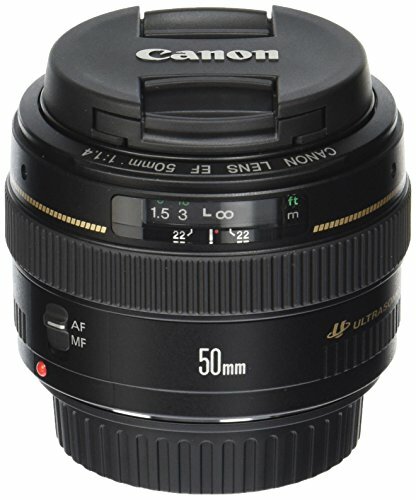 Do take note, however, that this is also a prime lens, which means that you have to use your feet to zoom into your subject. Hence, if you’re planning on taking photos of performers on stage, then you need to be at the front of the crowd. Aside from taking portraits, its 35-millimeter focal length also lets you get a good practice in your landscape photography skills. Travel and portrait lenses are a boon for photographers who like to go from place to place to record their journeys in higher resolutions. Using these lenses is incomparable to just use your smartphone’s camera as you’re going to get sharper and more colorful images, not to mention delivering better contrast. Using your Canon 6D with the travel and portrait lenses mentioned above will help you enhance your skills as a photographer.